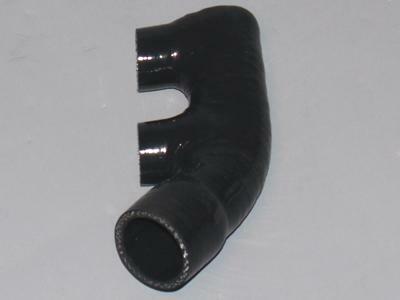 The Evolution Motorsports F-Hose is a direct replacement for the OEM hose. Evolution Motorsports F-Hose holds more pressure, and will not leak boost or blow out like the OEM hose. Use in conjunction with the Evolution Motorsports Billet Diverter Valves to completely strengthen the system.